What does arthritis joint pain feel like? Read the common types of arthritis and the ways to get relief from arthritis pain naturally. Joint pain is very common and the chances are high if you have already experienced it at some point in your life. A number of factors contribute to pain and discomfort in your joints including strains and sprains, injuries, and so on. 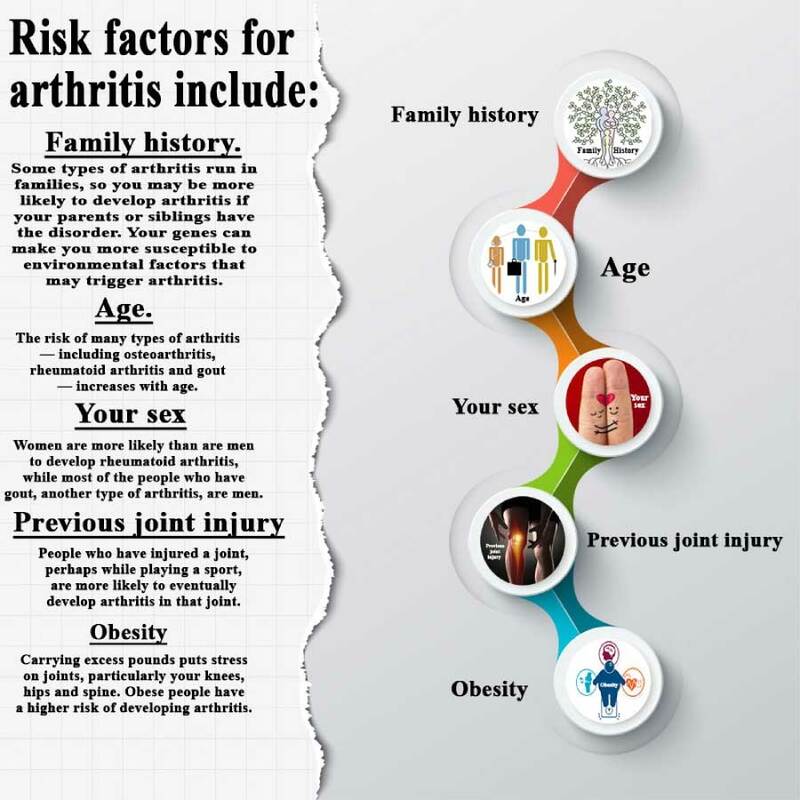 What are the Risk Factors Associated with Arthritis? The pain can be acute or chronic. The first can go away in a few days or weeks depending on the cause or severity of the injury, while the latter keeps coming back. Arthritis is the most common cause of recurring joint pain and despite wide prevalence, there’s still a lot to learn about this condition. Throughout this post, you’re going to learn the causes, symptoms, treatments, types of arthritis, and other necessary info that will help you manage the pain you feel more effective. Keep on reading and discover other interesting information on arthritis joint pain. And, remember, arthritis and joint pain are very much connected – one reinforces the other. Arthritis is a very common inflammation that affects either one or multiple joints in your body. In some cases, arthritis can also affect other connective tissues and organs, even your skin. Although most people refer to arthritis as a “standalone” disease, the truth is it is a broad term that covers a group of more than 100 different diseases. According to numerous findings, arthritis is one of the oldest diseases in the world. For example, it is a well-known fact that some dinosaurs suffered from arthritis. Remains of Iguanodons, small three-ton dinosaurs around 85,000,000 BC were found in Belgium and scientists found primary ankle osteoarthritis. The discovery was surprising since dinosaurs usually got secondary osteoarthritis due to injuries and congenital defects. Between 30,000 BC and 28,000 BC, a Neanderthal man made his first appearance and the remains showed the presence of secondary osteoarthritis due to difficulties of daily life, injuries, and so on. The year 4500 BC marks the first time arthritis was discovered in Homo Sapiens or human beings. The first case was recorded in the skeletal remains of Native Americans of Tennessee and parts of today’s Olathe, Kansas. The trip back to prehistoric times shows that arthritis, joint inflammation affecting millions of people, has been present throughout history. Although it dates back to thousands or millions of years, there is still a lot we don’t know about arthritis, which is why scientists constantly work on new studies to get more insight into this medical problem. Arthritis is a common problem that many people face around the globe and the US isn’t an exception. How common is arthritis in this country? Moreover, it is important to mention that arthritis has been the leading cause of disability among US adults for more than 15 years. Adults with arthritis were 2.5 times more likely to have two or more falls or suffer an injury in the past 12 months than individuals who don’t have arthritis. Although these figures show the severity of this health problem and a true impact of arthritis, the real prevalence status could be even higher since statistics count only doctor-diagnosed cases. It is a well-known fact that a lot of people don’t seek medical assistance and refuse to see their doctor regarding joint pain. As mentioned above, arthritis isn’t an individual disease meaning it also doesn’t have a single cause. In fact, the exact cause of this health issue is unknown. What do scientists know is that a decrease in the normal amount of the cartilage tissue causes some forms of arthritis? Cartilage is defined as a firm, but flexible connective tissue in joints and its purpose is to protect your joints by absorbing the pressure and shock created when you move and form stress on them. Age-related wear and tear is yet another common cause of arthritis, primarily osteoarthritis. That said, injury or infection of the affected joints can accelerate the natural breakdown of cartilage tissue. Some forms of arthritis, like rheumatoid arthritis, are autoimmune disorders. These disorders occur when your body’s immune system attacks healthy tissues. These constant attacks affect the synovium, which is a soft tissue that produces fluid to nourish the cartilage and lubricate the joints. It is important to mention that it’s unknown why autoimmune disorders occur i.e. the reason why a person’s immune system starts attacking healthy tissues or organs. Everyone can get arthritis, but some people have a higher risk of developing it. 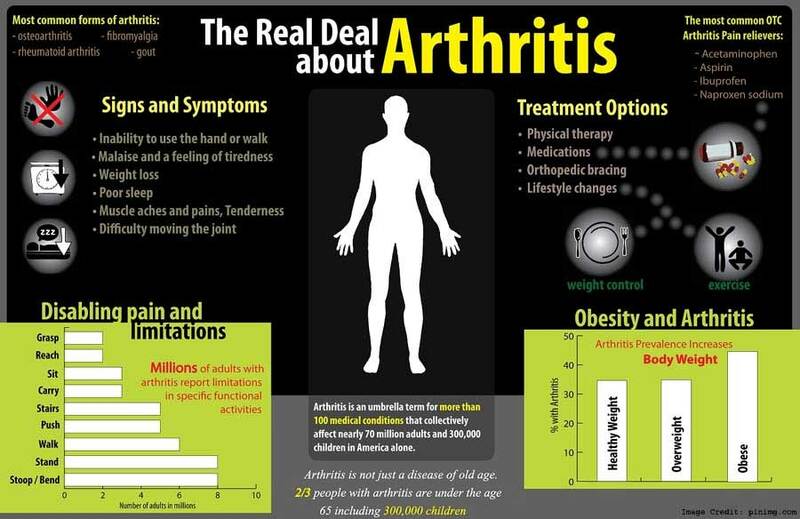 We can divide arthritis risk factors on those that are modifiable and factors that aren’t. If you experience the symptoms mentioned above, the chances are high you have some form of arthritis and instead of waiting for pain and discomfort to go away, you should consult your doctor and try some supplement. Have a glance at the Arnicare Gel Review, as it might provide relief from these symptoms. 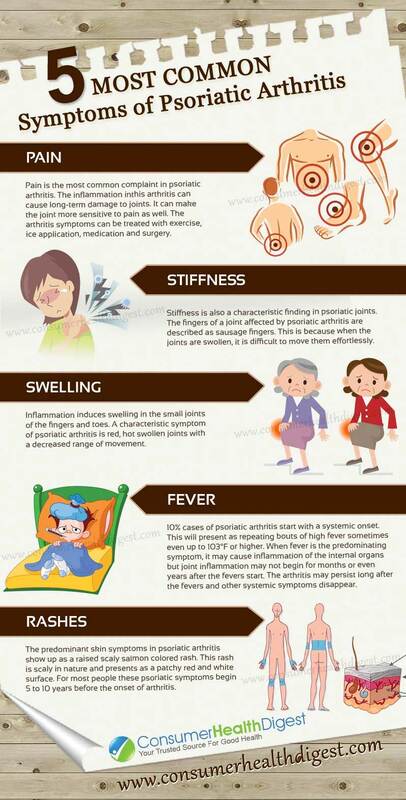 More detailed list of symptoms for the most common forms of arthritis is available below. According to the Arthritis Foundation, you should see your doctor if symptoms you experience the last three days or longer or when several episodes of these symptoms occur within a month. Why is it important to see your doctor? It’s because a prompt diagnosis is vital for the management of arthritis to avoid letting it affect your quality of life in a drastic manner. The truth is, it is not uncommon for people to suspect they have arthritis due to chronic joint pain, but they don’t see the doctor thinking he/she won’t say anything new. That is wrong! If your physician confirms you have arthritis, knowing the type is the first and the most important step in getting the adequate treatment and management plan. The first thing the doctor will do is to perform a physical exam to check the affected joints for warmth, redness, and swelling. The physician will also have to see how you can move your joints to get a clear picture of your range of motion. Based on the physical exam and the results of laboratory or imaging tests, your doctor is ready to make an accurate diagnosis and inform you whether you have arthritis as well as its type. Inflammation in a human body occurs as a defense against bacteria, viruses, or as a response to injuries like burns. Therefore, it can be considered as a normal part of the body’s healing process. That said, with inflammatory arthritis, people have inflammation for no reason. This type of arthritis is indicated by damaging inflammation which doesn’t occur as a normal response to injury or an infection. The inflammation leads to damage in affected joints, stiffness, pain, and swelling. Degenerative arthritis refers to conditions that involve damage to the cartilage which, then, becomes thinner and rougher. As a response to the loss of cartilage and changes in your joint’s functionality, the body starts remodeling the bone with the purpose to restore stability. As a result, bony growths develop and lead to a misshapen joint. This particular condition is called osteoarthritis and it is one of the most common forms of this joint problem. You’ll get to read and learn more about osteoarthritis below. This pain doesn’t affect joints and bones only, it also a part of your body that is dealing with overuse or injury e.g. tennis elbow. Joint pain you experience here comes from soft tissues and muscles supporting joints. It is not uncommon for people to experience widespread pain followed by other symptoms. You probably know of this arthritis form as fibromyalgia. Causes of back pain are numerous ranging from injuries, problems with organs inside the body, and a result of referred pain or a problem occurring somewhere else in your body, but it creates a pain sensation in the back area. Back pain can also have specific causes like osteoarthritis or spondylosis when affecting your spine. 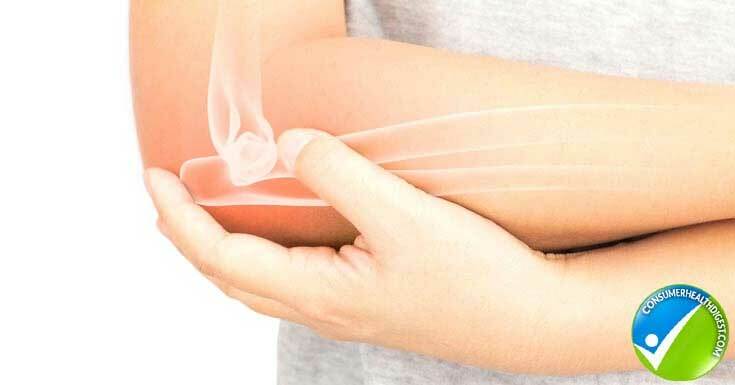 Joint pain is the perfect indicator of connective tissue disease (CTD), but inflammation associated with CTD can also affect skin, kidneys, lungs, and so on. As a result, an affected individual experiences a wide array of symptoms besides pain and discomfort in joints. Examples of arthritis from this category are SLE (systemic lupus erythematosus), scleroderma, and dermatomyositis. In some cases, bacteria, fungus, or virus can enter the joint and induce inflammation. Salmonella and shigella, Hepatitis C, chlamydia and gonorrhea are just some organisms that can infect your joints. Taking antibiotics is usually an effective way to treat these infections, but in cases wherein infection persists for quite some time, joint damage can become irreversible, thus leading to arthritis. Metabolic arthritis is associated with buildup or accumulation of uric acid. What is uric acid? It is a chemical created when your body breaks down purines (found in some foods and human cells). When uric acid dissolves, it reaches kidneys where it passes out in urine. What happens when uric acid accumulates? As a result, the buildup of this chemical forms needle-like crystals in the joint and induces a gout attack. Now that you know how we can categorize arthritis types, this section will discuss the most common types of this joint problem. Rheumatoid arthritis (RA) is a chronic inflammatory disorder that affects more than just joints. The condition can also damage the skin, eyes, lungs, blood vessels, heart, and so on. , the global prevalence of RA ranges from 0.4% to 1.3%. In the United States, 1.5 million people or 0.6% of adults had rheumatoid arthritis in 2005. Just like with most other types of arthritis, this one is also more prevalent among women than in men. How does Rheumatoid Arthritis occur? It is a systemic inflammatory disease wherein the inflammation primarily affects the lining of the joints, thus causing the erosion of joint cartilage and bone. In some cases, it can cause joint deformity, as well. Although the exact cause of rheumatoid arthritis is still unknown, the condition is believed to result from an impaired immune response. While underlying mechanisms that lead to the onset of this inflammatory condition are unknown, genetic component plays a big role. It is important to bear in mind that your genes don’t cause the development of RA, they can just make you more susceptible to develop it. As the disease progresses, it can spread to elbows, wrists, ankles, knees, elbows, and shoulders. A vast majority of patients with rheumatoid arthritis experience symptoms that don’t involve joints like fatigue, anemia, and fever. It is not uncommon to also experience dryness, pain, redness of eyes, gum irritation, shortness of breath, and so on. People with RA have a more severe functional status compared to the individuals with osteoarthritis. People with osteoarthritis tend to be more prone to falls and fractures, which is why scheduling an appointment to see your doctor if these symptoms occur is the best way to manage this type of arthritis and prevent unfortunate scenarios. If these symptoms persist for a week, it is recommended to take the child to the doctor. Fibromyalgia is indicated by widespread musculoskeletal pain as well as discomfort or painful sensation throughout the body. Scientists believe fibromyalgia induces pain by affecting the manner your brain processes pain signals. The prevalence of fibromyalgia is 2% and it affects about 5 million adults in the US. Unsurprisingly, women are more susceptible to develop fibromyalgia than men. The exact cause of this disorder is unknown, but several factors can play a role including genetics, infections, and emotional or physical trauma. It is not uncommon for individuals with fibromyalgia to also develop symptoms of depression due to the fact they’re dealing with a health problem that is usually misunderstood. Sleep deprivation and pain affect the way you function at both home and work. Psoriatic arthritis (PA) is a type of arthritis that affects individuals with a skin condition called psoriasis. This skin condition is indicated by red patches of skin topped with silvery scales. According to some estimates, in Europe and North America between 18% and 42% of people with psoriasis also develop PA. This is yet another autoimmune health condition which occurs when your immune system attacks healthy cells and tissues. Abnormal immune response increases inflammation in the affected joint (or more of them) and leads to the overproduction of skin cells. Despite the fact it’s unclear what really causes PA, scientists agree that it is the combination of genetic and environmental factors. It is important to mention that the signs and symptoms of psoriatic arthritis can affect only one or both sides of your body. Gout is a very complicated type of arthritis affecting more than 3.9% adults in the US or 8.3 million people. As mentioned above, gout is more prevalent in men than in women with ratio 5.9% (6.1 million) vs. 2% (2.2 million). Women tend to have lower levels of uric acid, which is why men are more susceptible to this disease. The CDC reports that prevalence of gout increased over last two decades. Gout develops when urate crystals build up in joints thus causing the inflammation and intense gout attack. What is gout attack? An attack of gout occurs suddenly sometimes waking you up in the middle of the night with a burning sensation in your big toe. People who experience gout attacks report they feel like their big toe is on fire. The gout-affected joint is swollen, hot, and unbelievably tender e.g. even the sheet on your bed may become intolerable. Signs and symptoms of gout include severe joint pain, lingering discomfort, redness and inflammation, limited mobility. Fortunately, gout is treatable and a patient is usually required to take medications to prevent future attacks and reduce the risk of complications. The term scleroderma refers to the group of rare diseases that involve the tightening and hardening of the skin and connective tissues. In some people, scleroderma affects only the skin, but in others, these diseases act on internal organs, blood vessels, even the digestive tract. The annual incidence of systemic scleroderma is 20 per 1 million adults, while the prevalence of systemic sclerosis in the US is estimated to be 240 cases per 1 million adults. In the US, about 300,000 people have scleroderma. Overproduction and accumulation of collagen in the body cause scleroderma. That said, it’s still not clear what leads to this collagen overproduction. Women are more likely to develop the disease than men, primarily African-Americans and Choctaw Native Americans. While skin problems linked with scleroderma fade away within 3-5 years on their own, the types that affect internal organs progress over time. SLE is an autoimmune disease wherein the immune system produces antibodies to cells within your body leading to widespread tissue damage and inflammation. This disease is characterized by periods of illness and remissions. According to a study from the Arthritis and Rheumatology, the overall age-adjusted incidence and prevalence of SLE per 100,000 individuals is 5.5 and it is more common in women with the incidence of 9.3 per 100,000 and the overall prevalence of 128.7 per 100,000. While everyone can develop SLE, persons between 15 and 40 are at a higher risk. Ankylosing spondylitis is a form of arthritis that affects the spine, it is an inflammatory disease that can cause some of the vertebrae in the spine to fuse. As a result, the spine becomes less flexible and could lead to a hunched-forward posture. In instances when the disease affects your ribs, it can be difficult to take deep breaths. The prevalence of ankylosing spondylitis is 0.1% to 1.4% depending on the population studied. The most commonly affected areas are the joint between the pelvis and base of your spine, vertebrae in the lower back, hip and shoulder joints, the cartilage between breastbone and ribs, and places where tendons and ligaments attach to bones mainly in the spine. At this point, you are probably wondering how arthritis is treated. First, you should bear in mind that there is no cure which would eliminate arthritis entirely. Based on the diagnosis and type of arthritis you have, the doctor recommends a proper treatment to manage symptoms and prevent joint pain and other symptoms from progressing to cause even greater damage. In most cases, the physician recommends a combination of treatments for optimal results, rather than focusing on one approach only. Medications – analgesics to reduce pain, NSAIDs (nonsteroidal anti-inflammatory drugs) for pain and inflammation, counterirritants i.e. creams and ointments containing either menthol or capsaicin. For rheumatoid arthritis, doctors usually recommend DMARDs (disease-modifying antirheumatic drugs) which slow or stop the immune system from attacking joints. Other medications for arthritis include corticosteroids to suppress the immune system and relieve inflammation and biologic response modifiers which are usually combined with DMARDs. You can also explore Heal N Soothe Review which is a joint pain relief product to alleviate excruciating arthritis joint pain. Surgery – this is the last resort and doctors usually recommend surgery in instances when other treatment options prove to be ineffective. Surgical procedures involve joint repair, joint replacement, and joint fusion. It is important to emphasize that although alternative medicine options allow patients to experience joint pain relief, studies on these subjects show inconsistent results. While they can be useful and help you manage your condition, they should not replace adherence to treatments recommended by your physician. In fact, alternative medicine should be just a complementary tool you use to find relief. How to treat arthritis joint pain? Arthritis joint pain can be treated through oral or topical medication like Topricin, which will bring relief from both the pain and inflammation. Heat/cold applications can improve the symptomatology experienced, as well as physical therapy, hydrotherapy, and massage. Acupuncture is recommended for such health problems, as well as joint health supplements and stretching exercises or yoga. While the cure for arthritis doesn’t exist, following the treatment prescribed by your doctor and making certain lifestyle modifications can relieve the pain, prevent the condition from progressing, and help you have a normal life. Assistive devices – Fortunately, there are numerous devices nowadays that can help you improve the ability to perform certain tasks e.g. canes, walkers, raised toilet seats, jar openers, and so on. Heat and cold therapy are one of the most popular and practical ways to relieve stiffness and joint pain. Generally, heat is used to relieve stiffness, particularly in the morning, while ice packs or cold gels numb the pain. Most patients feel greater benefits when they experiment with these treatments i.e. when alternating heat and cold. Arthritis is a term that refers to more than 100 different types of conditions affecting joints, decreasing your mobility and flexibility, and preventing patients from carrying out tasks they used to do with ease. The most common types of arthritis are rheumatoid arthritis and osteoarthritis and women are more prone to this joint damage than men. Although arthritis doesn’t have a cure, it is possible to manage the condition and decrease the intensity of pain. It is crucial to see your doctor if you experience the symptoms mentioned in this article. Mention to him/her that you are suffering from arthritis joint pain and ask about potential treatment measures. The specialist will recommend the best solutions for arthritis and joint pain, helping you increase your overall quality of life. 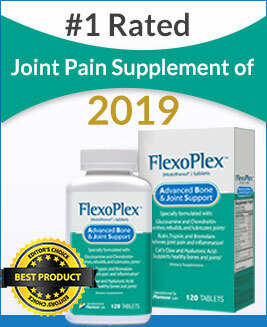 You can also search for other joint supplements such as Instaflex.